The second-gen Maruti Suzuki Ertiga should be hitting the Indian market around the 2018 festive season. 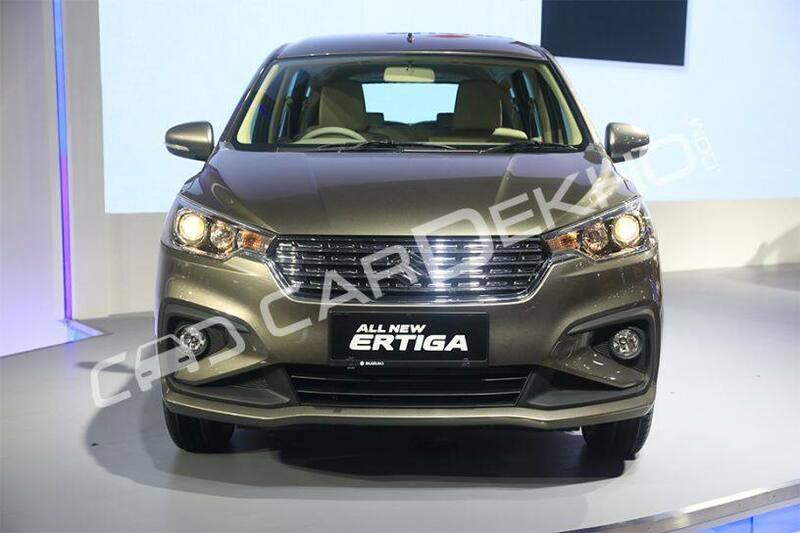 Unveiled at the IIMS (Indonesia International Motor Show) 2018, the new Ertiga gives us a glimpse of how the Indian version will look like. Barring some changes to the feature list, which should be more extensive for the Indian market, we expect most of it to be carried forward for India. With the launch of the new model, we don’t expect a massive increase in the entry-level price but the top variants might get more equipment and a subsequent price hike. Currently, the prices of the Ertiga start from Rs 6.58 lakh and go up to Rs 10.75 lakh (both ex-showroom Delhi) in India. 1. Unique identity: The Ertiga never shared its exterior design, especially the front end, with the last-gen Dzire or Swift. But its interior, the dashboard layout in particular, was the same as the Dzire, albeit in a different colour scheme. Like the first-gen model, the second-gen Ertiga sports a completely different front end but this time around, the dashboard design on the inside is not a copy-paste job. 2. More cabin space: A cramped third row and lack of adequate boot space have always been two of the Ertiga’s bigger weaknesses. The boot space of the second-gen Ertiga is rated at 153 litres, with all seats up. Presently, the first-gen Ertiga offers 135 litres with all seats up (unofficial). Since the second-gen Ertiga is wider (by 40mm) and longer (by 99mm) than the first-gen model on offer in India, it seems like Suzuki has worked on both these aspects. 3. More powerful petrol engine: The second-gen Ertiga in Indonesia gets the 1.5-litre, K15B petrol engine that makes over 104PS of maximum power and 138Nm of peak torque at 4400rpm. That’s an increase of 12PS and 8Nm over the Ertiga’s 1.4-litre petrol engine that we get in India. While the increase in output is not significant, it should make the Ertiga a better people-mover now than before. We expect Maruti Suzuki to offer the 1.5-litre engine instead of the 1.4-litre unit. 4. Lighter platform: The new-gen Maruti Ertiga is based on the ‘Heartect’ platform which also underpins the Dzire, Swift, Baleno and the Ignis. This platform is lighter yet sturdier than the existing platform of the Ertiga. It should help improve on-road manners and fuel efficiency as well. 5. New design: The 2018 Ertiga looks sharper and more muscular thanks to how its front end is designed now. The double-barrel projector headlamp unit looks sleek. Extensively inspired by the Honda CR-V’s tail lamp unit, the Ertiga gets LED rear combination lamps with guide lights that freshen up things at the rear. Already a good family car, the outgoing Maruti Ertiga packs in decent features and comes at an affordable price. The new model should only make it a better offering in the budget MPV space in India, which doesn’t have a lot of options right now.